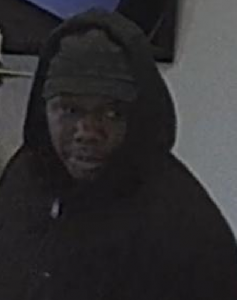 Robbery at Metro PCS on Franklin St.
On 4/22/18, at approximately 4:32pm, members of the Uniform Shift II division were dispatched to the Metro PCS store, located at 1310 Franklin Street, reference a Robbery that had just taken place. Information was gathered at the scene and it was determined two black male suspects entered the store and approached the employees. A demand for the store money was made and subsequently received. Once the money was obtained, both men fled the store. The first suspect was described as wearing a grey shirt and black pants. The second suspect was described as wearing a black hooded sweatshirt and black pants. The area was saturated with all available police units to search for the suspects. Cpl. Jim Glasgow soon made an investigative stop on a person he believed to be one of the suspects in the 3300 block of Franklin Street. 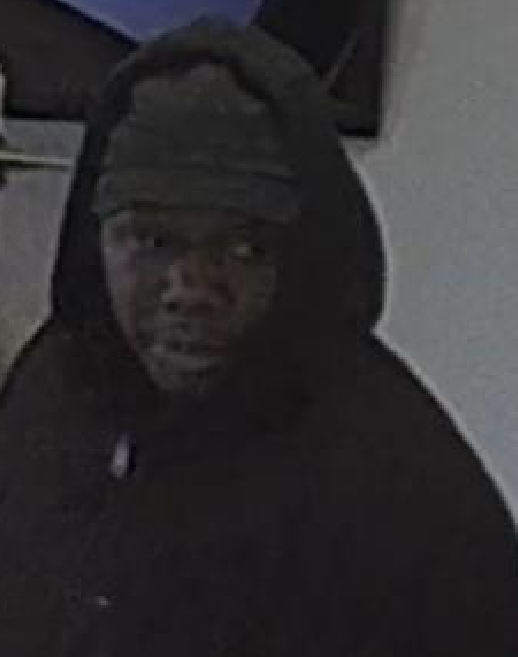 The suspect was then positively identified via surveillance footage from Metro PCS. The suspect ultimately fled on foot but was soon caught by Officers Deshawn Harris, Matthew Babcock and Nicholas Charo. The suspect was identified as Brandon Hill. Mr. Hill was arrested on probable cause for Robbery as a Level 5 Felony and Resisting Law Enforcement as a Class “A” Misdemeanor. Chief of Police Mark Swistek lauded the efforts of everyone involved in this investigation, especially the members of Uniform Shift II and Cpl. Glasgow, for their diligence and professionalism in capturing Mr. Hill so quickly. This Robbery was assigned to Det./Sgt. Ken Havlin and the investigation is still ongoing. All available leads will be followed to determine the identity of the second suspect. A screen shot of the second suspect, who is wearing the black hooded sweatshirt, is included with this press release. Anyone with information regarding this investigation, or can assist in the identification of the second suspect, is asked to contact Det./Sgt. Ken Havlin at 219-874-3221 Ext. 1078. Information can also be left on the MCPD Crime Tip Hotline and that telephone number is 219-873-1488.